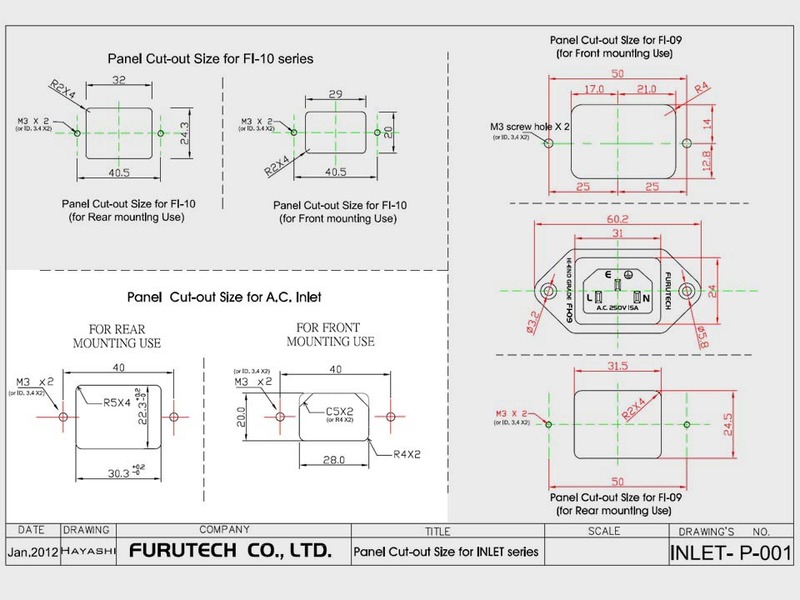 The Furutech Inlet is an excellent chassis mount IEC connector for the budget minded. The body is glass reinforced PBT with eutectic cast Brass contacts plated in Gold. 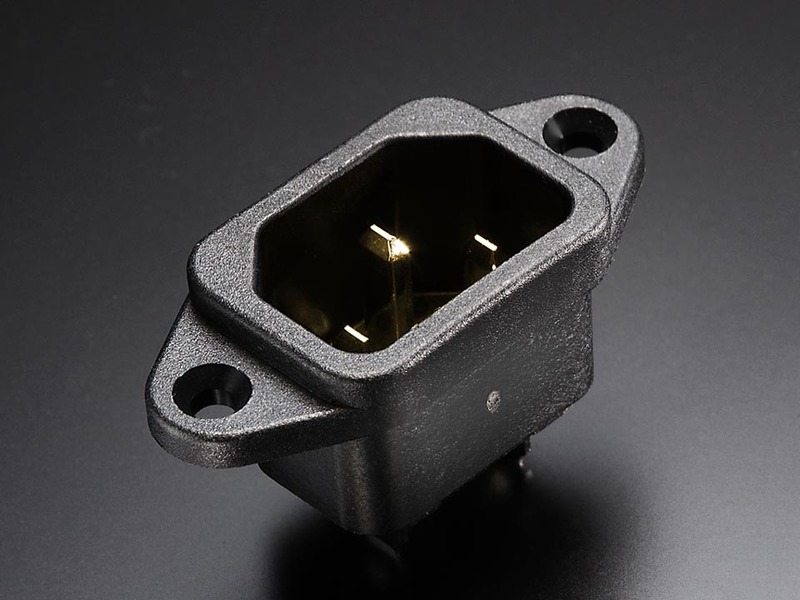 As with most Furutech parts, they have been processed with Furutech's Super Cryogenic & Demagnetize treatment. 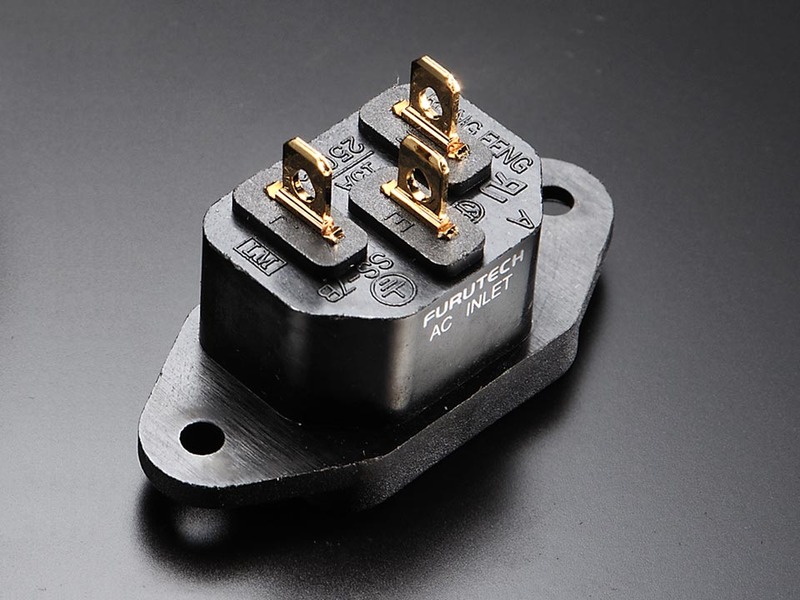 The Inlet is rated at 15 Amps and is set up for solder termination.